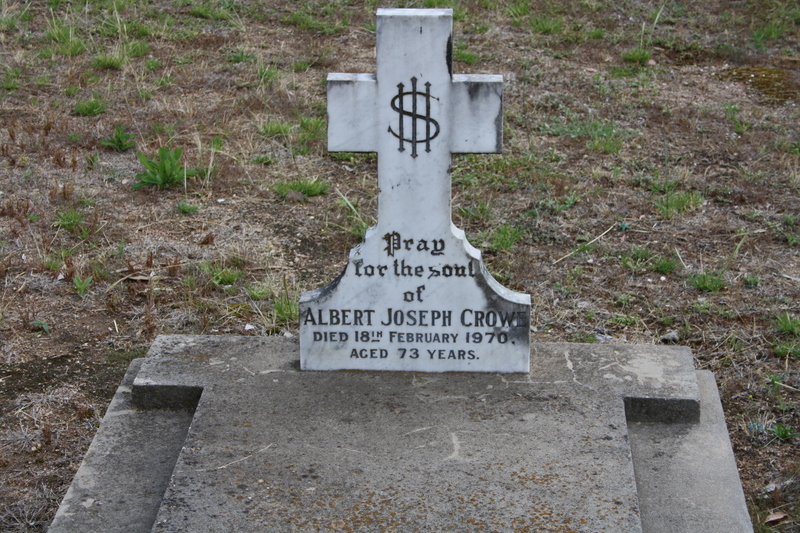 The following two sets of enlistment information and chronological tables of Trooper Albert Joseph Crowe's service in World Wars 1 and 2 are derived from the National Archives, the Australian War Memorial and the RSL Virtual War Memorials. His World War 1 service was limited as he did not join his unit until late in 1918, and his World War 2 service was as a guard at the Japanese Prisoner of War Camp in Cowra, NSW, however he had been discharged for ill health before the breakout occured on 5 Aug 1944. With 8 charges for Absence without Leave, it can safely be said that his WW2 service was somewhat problematic, and he was eventually discharged as medically unfit after serving a total of 798 days in Australia. Some of the service record pages may be duplicated. This generally occurs when the unit and Army records are amalgamated on discharge or death in Service. Service numbers were allocated by the original unit, and are not unique to the individual. Where an individual is transferred into another unit, duplicating an existing number, the transferee is given an alphabetic suffix, eg 1234A. Officers did not have Army numbers, and if commissioned from the ranks, relinquished their number on commissioning. References on the enlistment form to previous military service included service as school cadets under the Universal Service Scheme, 1911-1929. In WW2, The AIF was raised as a separate Army and introduced its own numbering system, allocated according to the Military District. These Service Numbers were prefixed with a State indicator, Queensland, New South Wales, Victoria, South Australia, Western Australia, Tasmania, D Northern Territory, the list in order of the Military Districts, 1 to 7. An X was added behind the State Prefix for those deployed overseas. Papua, NG New Guinea and Female were added later. The F prefix was added to the others, eg NFX. I have included Trooper Albert Crowe's record on this site as I spent my teenage years in Murringo and knew him personally. His World War 1 service had left him with severe post-traumatic stress disorder (PTSD), and he was, sadly, a poorly functioning alcoholic. Never having married, he died on 18 Feb 1970. Clive Mitchell-Taylor - 26 November 2018. See Albert Joseph Crowe's Service Record or his Embarkation Record. Which, if any, of the following Educational Qualifications do you possess? Have you ever been convicted by a Civil Court? A 'paper' transaction as the dates are awry. Offence of Absence without Leave struck out under AMR&O [Australian Military Regulations and Orders] R3-1-1023. Offence: Absent without Leave from 0700 hrs 14 Feb 1942 to 0700 hrs 19 Feb 1942. 'X' List is detached from the parent unit in this case because he would have been undergoing detention. To Hospital (11 Camp Hospital),sick. Offence: Absent without Leave from 0700 hrs 11 Jul 1942 to 2200 hrs 13 Jul 1943. Discharged from the Service as medically unfit. A copy of his medical file was sent to 'Repatriation' and should have resulted in a pension should his disability have been occasioned by his service. For service in World War 1, Albert Joseph Crowe was awarded the British War Medal 1914-1920 and Victory Medal, he was not entitled to 1914-15 Star. For service in World War 2, he was awarded the War Medal 1939-1945 and the Australian Service Medal 1939-1945. Not entitled to wear ANZAC 'A'. 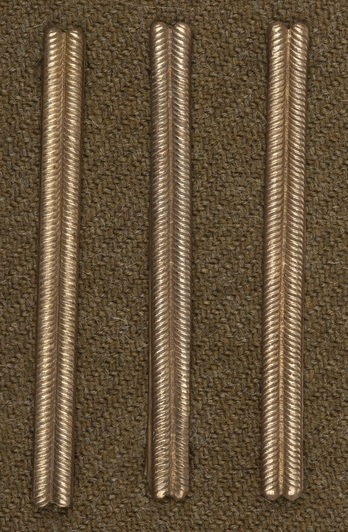 One Long Service Stripe and two Overseas Service Chevrons. Use the hyperlinks or scroll down to see further information on the badges. Originally established as Machine gun sections in each Regiment of Light Horse, the sections were later amalgamated under Brigade control in much the same way as occurred with Machine Gun Companies amalgamating to form Battalions in the AIF. So each Light Horse Brigade had a Machine Gun Squadron established under Command to best provide fire support, equipped with Vickers medium machine guns. The soldiers in the Squadron were drawn from the three Regiments of the Brigade; the 1st 2nd and 3rd Light Horse Regiments. The Squadron supported its parent Brigade and its subordinate units throughout the Egypt and Palestine campaigns 1916-18 and elements of this Squadron provided fire support at the famous charge at the Battle of Beersheba on 1 October 1917. Garrison Battalions were part of the Australian Army Reserve with the role of manning fixed defences and vulnerable points. The personnel were Class B men, those between 48 and 55 who had seen war service before September 1939, therefore mostly WW1 veterans. Prisoner-of-War and Internment Camp units were part of the Garrison Battalion organisation but were on a special establishment where the need for prior war service was waived and females were sometimes included. The first seven Garrison battalions were raised in October 1939, rising to 33 battalions plus around four individual companies by the end of the war. From 1940, in commands where more than one Garrison Battalion had been raised, a small Garrison Brigade administrative HQ was also created, of which there were five by the end of the war. From early on some battalions had adopted a secondary title indicating their specific role, such as (Internal Security). In 1942 this was formalised and most battalions were given an appropriate secondary title. Cowra was the scene of a dramatic break-out of the Japanese POWs on 5 Aug 1944. Some 359 POWs escaped, while many others attempted or committed suicide. Some of those who did escape also committed suicide to avoid recapture. All the survivors were recaptured within 10 days of their breakout. During the escape and subsequent roundup, four Australian soldiers and 231 Japanese soldiers were killed and 108 prisoners were wounded. The leaders of the breakout ordered the escapees not to attack Australian civilians, and none were killed or injured. The decoration consists of a four-pointed star in bright bronze as shown, with the date 1914-15 on the central scroll. The reverse is plain, and is stamped with the name and unit of the recipient. The ribbon is red, white and blue, shaded and watered, worn with the red nearest the centre of the breast. It is atached to the medal through a ring. It is similar in shape and description to the 1914 Star, to which few, if any, Australians were entitled. Those entitled were those who had already served with the Australian Naval and Military Expeditionary Force (AN&MEF) in the operations to capture German New Guinea in 1914. The decoration, sanctioned in 1918, was issued "to all officers, warrant officers, non-commissioned officers and men of the British, Dominion, Colonial and Indian Forces, including civilian medical practitioners, nursing sisters, nurses and others eployed with military hospitals, who actually served on the establishment of a unit in a theatre of war as defined in Appendix 'A'. 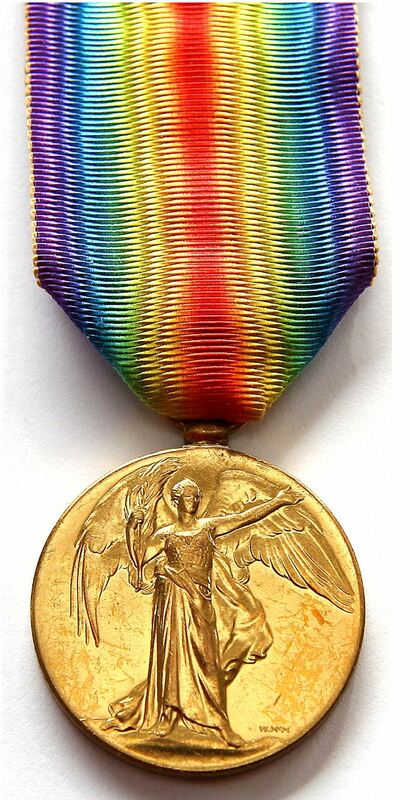 Individuals in possession of the 1914 Star will not be eligible for the award of this decoration." Appendix 'A' included the Western, Eastern, Egyptian, African, Asiatic and Australasian Theatres of war, with commencement dates individual to countries and campaigns. This medal was approved by King George V in 19 19 to record the bringing of the war to a successful conclusion and the arduous services rendered by His Majesty's Forces. The medal, which is supended from its ribbon by means of a straight clasp, without swivel, bears on the obverse the effigy of His Majesty - exactly similar to that on a half-crown - with the legend 'Georgivus V : Omn : Rex et Ind : Imp'. The reverse bears a design which represents St George on horseback, trampling underfoot the eagle shield of the central powers and a skull and crossbones, the emblems of death. Overhead is the risen sun of victory. The male figure, rather than a symbolical female one, was chosen because man had borne the brunt of the fighting. The figure was mounted on horseback as symbolical of man's mind controlling force (represented by the horse) of far greater strength than his own. The design is thus also symbolical of the mechanical and scientific appliances which helped so largely to win the war. The ribbon has a orange watered centre with stripes of white and black at each side and with borders of royal blue. It is stated that the colours have no particular signification. 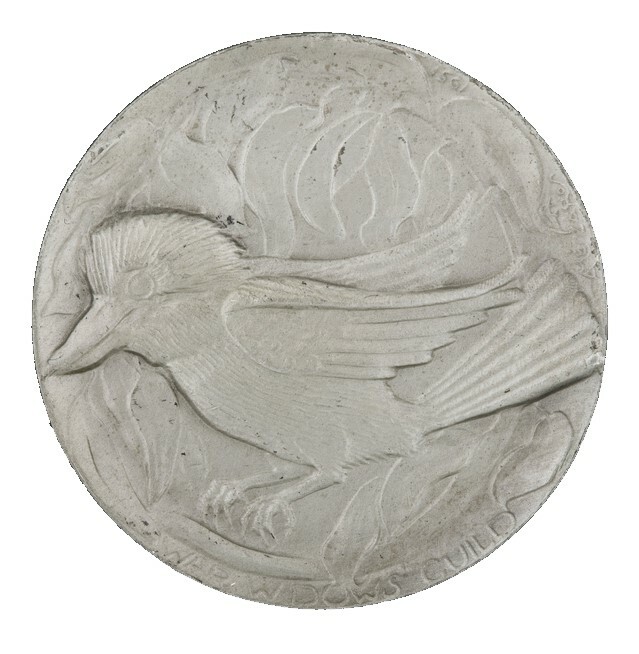 This medal, of bronze, bears on the obverse a winged figure of Victory, full length in the middle of the medal and full face; the borders and the backgound plain, without either incription or date. On the reverse is an inscription. "The Great War for Civilization." and either the names of the different Allied and Associated Powers, or their coats of arms. The rim is plain, and the medal hangs from a ring. The ribbon is red in the centre, with green and violet on either side shaded to form the colours of two rainbows. It has also been approved that any officer or man who has been "mentioned in despatches" shall wear a small bronze oak leaf on the ribbon of this medal. Only one oak leaf is so worn, no matter how many "mentions" the wearer may have received. 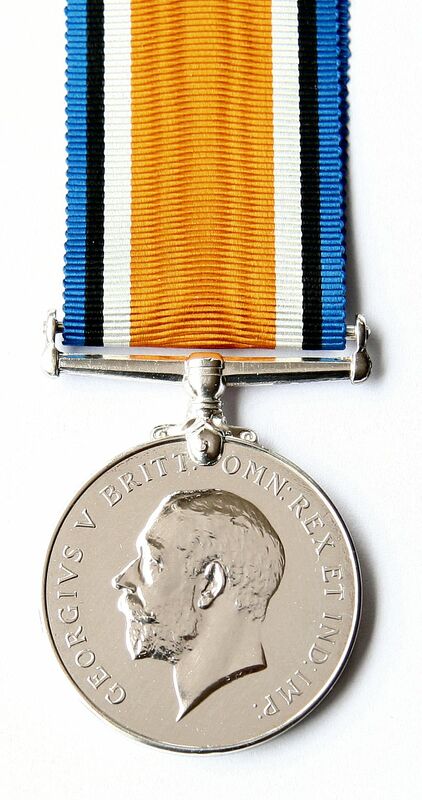 The medal is cupro-nickel with the crowned effigy of King George VI on the obverse. The reverse has a lion standing on a double-headed dragon. The top of the reverse shows the dates 1939 and 1945. The rim is plain, and the medal hangs from a suspender. The ribbon colours of red, white and blue represent the colours of the Union Flag. 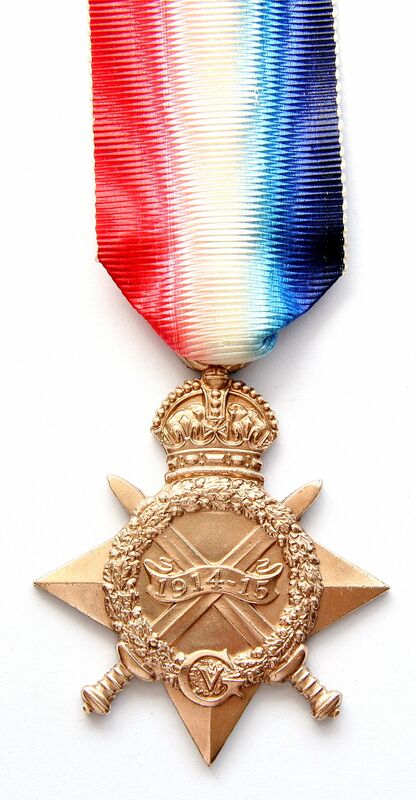 The War Medal 1939-45 was awarded for 28 days full-time service in the Armed Forces between 3 September 1939 and 2 September 1945. Operational and non-operational service may be counted, providing that it was of 28 days or more duration. In the Merchant Navy there is a requirement that the 28 days should have been served at sea. A member qualifies for the award where service was brought to an end by death, wounds or other disabilities due to service or by cessation of hostilities on 2 September 1945. The rim is plain, and the medal hangs from a suspender. 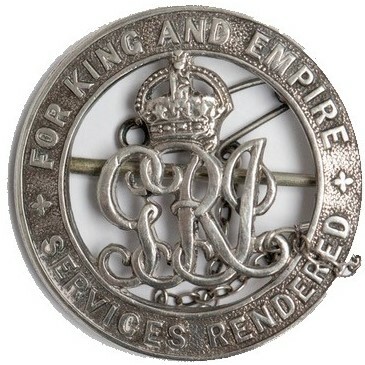 This version of the Rising Sun Badge was worn by soldiers of the 1st and 2nd Australian Imperial Forces, and the badge has become an integral part of the Digger tradition. Worn on the the upturned brim of the slouch hat, it is readily identified with thespirit of ANZAC. There are a number of versions of the genesis of the badge, the most widely acceptedbeing that it derived from a Trophy of Arms - various swords and bayonets mounted ona semi-circular display in Victoria Barracks, Melbourne. The original version worn in South Africa was modified in 1904 and worn by Australian soldiers through two World Wars. Later changes were made to the style of the crown and the wording on the scroll. The "King's Crown" is the one shown to the left, while arches of the "Queen's Crown" rise at the same angle as the base of the crown, curve at their highest point to a level mid-way on the orb below the cross and then down to below the orb. In 1949 the scroll was changed to read "Australian Military Forces". In 1969 the badge was modified to incorporate the 7-pointed Federation Star with a central Queen's crown over the Torse wreath (a twisted roll of fabric) from the original 1902 version, and the scroll wording changed to "Australia". In the 75th anniversary year of the the ANZAC landings at Gallipoli, there was a drive to return to traditional accoutrements worn by Australian soldiers during the World Wars, which clearly identify the Australian Army. The Queen's crown returned to its central position and the scroll now reads "The Australian Army'. 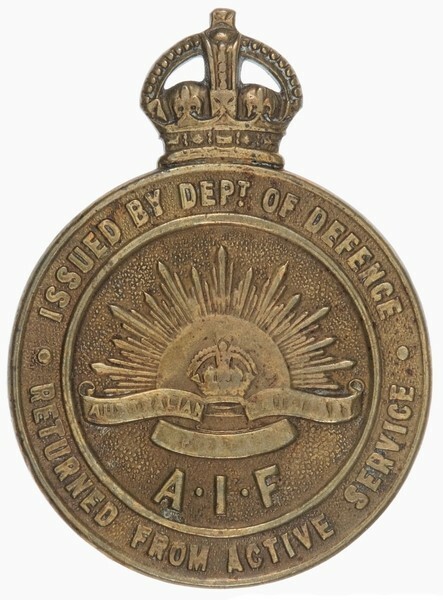 The brass letter 'A' to represent service related to Gallipoli (ANZAC) was authorised to be worn 'over unit colour patches on both sleeves of the service dress jacket and greatcoat" by Military Order 354 of 18 Aug 17 and AIF Order 937 of 6 Nov 17, as amended in terms of qualification by Military Order 20 of 19 Jan 18 and by AIF Order 1084 of 25 Jan 18. The size of the letter 'A', introduced as one inch in height (AIF Order 994 of 30 Nov 17), was reduced to three-quarters of an inch by AIF Order 1012 of 11 Dec 17. Provision for wearing the brass letter 'A' was also included in General Routine Order 0.815 of 17 Dec 43 and GRO 310 of 7 Dec 45. Stripes of gold Russia braid No.1, two inches [2.5cm] in length sewn perpendicularly on the left forearm sleeve of the jacket to mark each occasion on which wounded. In the case of officers, the lower end of the first strip of gold braid will be immediately above the upper point of the flap on the cuff. Warrant officers, non-commissioned officers and men will wear the gold braid on the left forearm sleeve, the lower edge of the braid to be three inches from the bottom of the sleeve. Subsequent occasions on which wounded, will be placed on either side of the original one at half inch interval. Gold braid and sews will be obtained free on indent from the Army Ordnance Department; the sewing on will be carried out regimentally without expense to the public. The question of the issue of a badge to members of the AIF who have completed a certain period of service has received consideration, and approval has been given for the issue of a badge for long service combined with good conduct, subject to the following conditions. 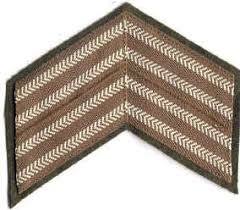 The badge will consist of an inverted single chevron of service braid to be worn on the left forearm - the point of the chevron to be 3 inches [7.6cm] above the edge of the cuff. Warrant and non-commissioned officers and men, will be eligible for the badge, which will not carry an increased pay or allowance. One chevron will be worn for each complete year's service in the Australian Imperial Force from the date of embarkation in Australia. No badge will be issued to any man who, during the 12 months, has incurred a regimental entry (i.e. an entry involving forfeiture of pay) in his sheet. Time absent from the unit in hospital or elsewhere on account of wounds or sickness, not the result of misconduct, will count as service towards earning the badge. A man in possession of a badge will forfeit same on being convicted of any offence involving a forfeiture of pay , but will be eligible to regain the badge after 6 months good conduct, from the date of forfeiture. The illegal wearing of this badge will be a crime under A.A. Section 40. His Majesty the King has been graciously pleased to approve of the award of chevrons to denote service overseas since the 4th August 1914. Chevrons of two colours have been approved. 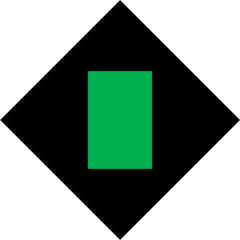 The first chevron if earned on or before 31st December 1914, will be red. If earned on or after 1st January 1915, it will be blue. All additional chevrons after the first will be blue. 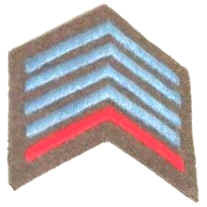 In the case of officers, the apex of the lowest chevron will be 1 inch [2.5cm] above the upper point of the flap on the cuff. 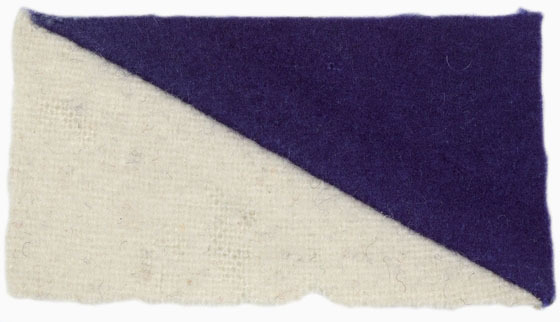 In the case of warrant-officers, non-commissioned officers and men, the apex of the lowest chevron will be midway between the seams and four inches [10.2cm] above the bottom edge of the sleeve. The red chevron will be worn below the blue one. They will not be worn on greatcoats. In the case of Australians, the first chevron was earned the date the individual left Australia. Additional chevrons were awarded for each successive aggregate period of 12 months service outside Australia. service. Numbered on the reverse. First issued in 1916. Slight variations are indicative of a number of makers. 267,300 were issued. Numbered on the reverse but the numbers have no link with length of service or Service Number.